The fingers hurt me! :P.
very pretty! i like it a lot! 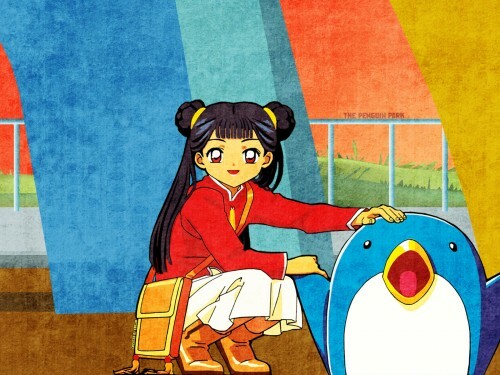 I freaked out when I saw this because Mei Ling is my partner's favourite CCS character, and the penguin is his favourite animal. I hope he likes this wallpaper as much as I do. <3 It's just darling.